Stitches and Scissors: Shabby Apple Dress Giveaway! If you would like to get more promotions and exclusive discounts make sure to "like" Shabby Apple on their Facebook page.Here is the link. Here is the dress that I am giving away to one of you! The Tuxedo III dress. Here is the link to the dress on their website so you can see more about it. Don't you just love the ruffle around the neck?? I also love that it is brown so that you can wear it in the summer and winter! To enter the giveaway just leave a comment on this post and you are entered! I will leave the giveaway open for a week, Tuesday May 24th at midnight. Whoo-hoo! I'd love a chance to win a flirty and fun new dress. Thanks!! Great giveaway Darci! One of these days I'm going to buckle & buy a Shabby Apple dress - they're just too fabulous for anything I have coming down the pipe though! Those are beautiful! Thanks for a chance! 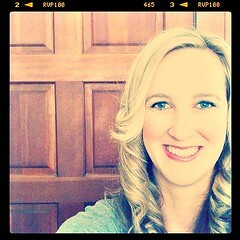 I love Shabby Apple and your sewing blog! I hadn't ever heard of Shabby Apple! I LOVE their stuff! I checked out their swimwear & am considering getting something! Thanks! Oh & I love that dress you are giving away! It looks like it would be so fun to wear! they have the most gorgeous dresses! I would SO love a new dress! Love the dress and Shabby Apple! Woo-hoo! what a great giveaway! So cute! I will have to look them up. Super cute! I love their dresses! ahh i love it! need some new dresses so would love to win! Oh I love Shabby Apple! And I need a new dress!! I would be tickled pink if I won!! WOW!What a lot of dresses to love! I think NEED to win this dress...I already have the perfect boots to put wth t! I love all the Shabby Apple dresses! Ack! So pretty! j would love to,add this to my closet!! Really enjoying your blog! 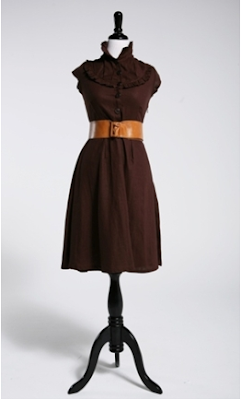 Adorable dress and you're right: brown is such a versatile color. Cheers! Cute dresses - I especially like your choice of the tuxedo dress! I just discovered Shabby Apple. How fun! And I'd love a neat new dress to twirl around in. Adorable dress! Thanks for the opportunity to win it! Shabby Apple has wonderful dresses! I love the details on the Tuxedo line of dresses. Thanks for the chance to win! What a fun dress! I can see wearing across multiple seasons, perhaps with a simple cardi. that looks like a flattering dress, I love shabby apple! So cute, Darci...what a fun give-away. Thanks for the chance to win. This is so cute! It would be perfect for my wedding rehearsal in November! This is adorable! I hope I win! I have been wanting a shabby apple dress for quite some time! This is too cute! If I won this I would give it to my fiance. She loves Shabby Apple. They do have gorgeous dresses. I like the yellow one at the top as well. Beautiful!!! I just love this dress and so many others that they have to offer. Thanks for the chance! Gorgeous. I love, love, love the green striped one. I love shabby apple dresses! Thanks, Darci! Shut up!! Are you serious??? I love that dress!! what an awesome giveaway. Thank you for the chance. Very cute dress, thanks for the giveaway! Great giveaway! Shabby Apple has lots of beautiful dresses. I love fun and flirty dresses, but most barely cover your bum these days, but these appear to be much more appropriate for me. Thank you so much for the chance to win one! Those dresses are so much fun! Thanks for the heads up! What a fantastic prize and a great website. Given how much I love green apples, an instant connection! I love Shabby Apple! In fact, I am wearing one of their dresses right now! I think this dress is so lovely! That brown dress is GORGEOUS!! I have not heard of Shabby Apple yet, so I am super excited by those photos to go check it out! Thanks for a chance, Darci!! I would be a VERY happy camper if I win!!!!! LOVE their dresses. So cute!!! I'd love to win! Love these dresses! Headed to their site now!